Two of the finest practitioners of unsettling and enveloping audioscapes team here for varied takes on drone, noise, and sonic wrangling. 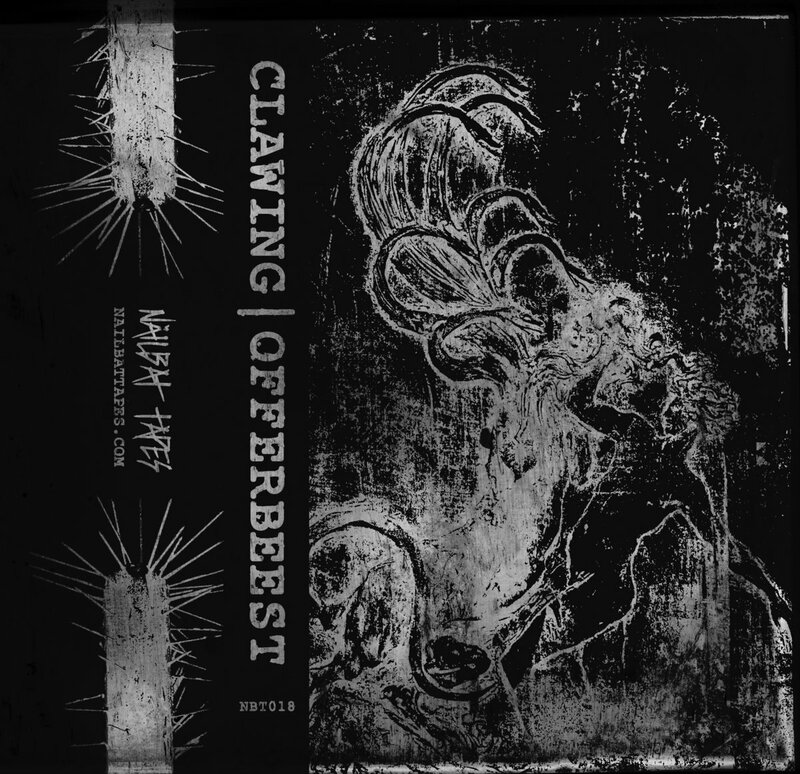 Alabama's Clawing is a collaboration between the prolific trio of Jeff McLeod (Gezoleen, Saragashum, Bert) Austin Gaines (Calques, Hadals, Japanese Women), and poet / spoken word artist Matt Finney (It Only Gets Worse). Their work here is an expansion on the ghostly world conjured on their masterful debut, "Spectral Estate," with an unsettling aura that rests atop a current of anxiety and contemplation. 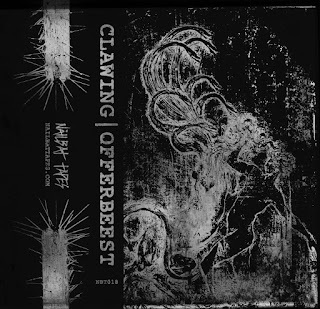 Split by Clawing / Offerbeest Limited to 100 copies, pro-dubbed with digital download included.